All persons in the Boatyard are responsible for reading and complying with the Boatyard Rules & Practices. A copy can be obtained at the boatyard office. 30 minute maximum in slings. $100 per additional 30 minutes. Water to Blocks to Water; Trailer to Blocks to Water; Water to Blocks to Trailer; Trailer to Blocks to Trailer. Additional $1 per foot if staff have to scrape off heavy growth of barnacles/mussels etc. Additional 10% added to lift charge for lift requiring extra assistance. 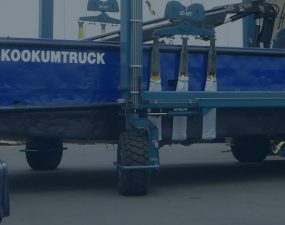 For bottom paint removal all hulls will require a custom quote. Please ask at the boatyard office. Additional charges may apply for electricity usage. All Work Orders as well as Boatyard Rules & Practices must be signed prior to services being provided. All charges are to be paid at the boatyard office prior to vessel launch. Your work area must be kept clean. Additional clean up charge of $50/half hour will apply for if work area not left clean. A copy can be obtained at the Boatyard Office and must be signed upon arrival. Ladders included in layday rates, steel staircases for rent at $20 per day for vessels owners doing their own work. All contractors must comply with the Contractors Agreement prior to performing work in the Boatyard. All contractors must sign in & out at boatyard office daily. See office for more info. Ocean Pacific provides a fenced yard, onsite cameras, and has monitored wireless motion sensors available. 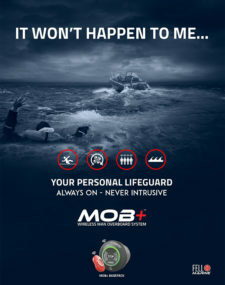 However, customers are responsible for the security of their vessel and its contents. See the Boatyard Rules & Practices for more information on Security. 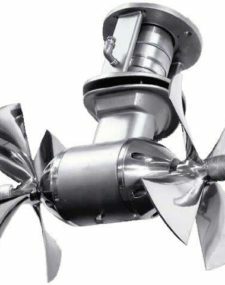 Rates will be charged by overall length of the vessel. Subject to change without notice and do not include taxes. WE HAVE EXTENDED OUR SHOW DAY SPECIAL PRICING! 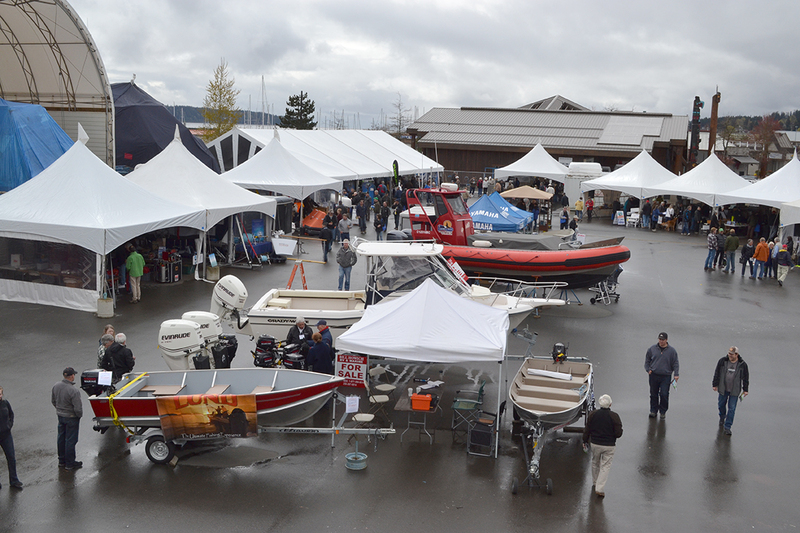 DUE TO THE WIND & THE RAIN WE WILL CONTINUE TO OFFER OUR SHOW DAY SPECIALS UNTIL SATURDAY, APRIL 13TH! Recently, I purchased a Beta Marine diesel from Ocean Pacific. Logistics made it impossible for the OP boatyard to perform any of the work required, but that did not prevent the yard office staff from providing me with exceptional service. Lisa, Mark, Rolland and Chris went abo … Continue reading "Terry M"
I want to send you this note to thank you for the incredible service you provided last week regarding repairing my boat. I was able to go out on Sunday without any problems and everything that you said you would do was done. Again thanks for the great service ~ Ken G … Continue reading "Ken G"
Thank you for you excellent work and ongoing communication. I am very impressed with your professionalism. ~ owner of the Samba … Continue reading "Marc Foster"
The run from Campbell River down to Comox went very well. There was little wind so I motored all the way. The Beta 14 performed perfectly. 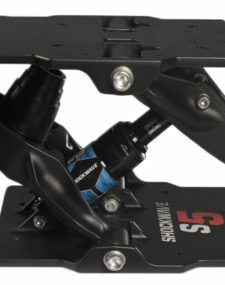 I like the single-handle controller…. made for easy maneuvering into my marina slip. Thanks for the great job you and your team did. 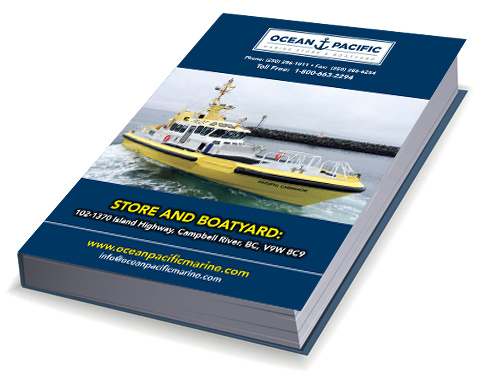 ~ … Continue reading "Andy"
It is the policy of Ocean Pacific to provide the highest quality products and services available in the marine retail and repair industry. Ocean Pacific accepts responsibility for the complete satisfaction of its customers. Ocean Pacific exercises this responsibility through continual training of staff, adherence to proven processes and procedures and the management of risks and opportunities. Ocean Pacific is committed to maintaining a safe and environmentally friendly working environment and an organizational culture that fosters continuous improvement.